The awards consist of $2500 to college students at 2-year or 4-year colleges to assist in their college finances and encourage them in their future career goals. 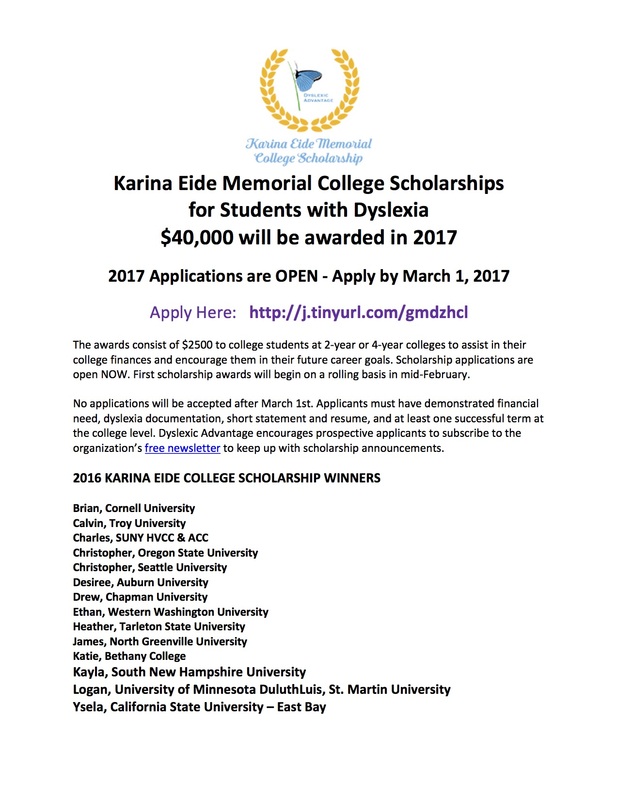 Scholarship applications are open NOW. First scholarship awards will begin on a rolling basis in mid-February. What is the Independent Life $1000 scholarship? Independent Life Home Care is dedicated to improving the lives of disabled students all over the country. The $1000 Disabled Student Scholarship, offered by Independent Life Home Care, is open to disabled students currently pursuing an associate or bachelor degree. Here is a list of academic scholarships for blind and visually impaired students, as well some additional organizations dedicated to assisting visually disabled individuals and promoting their inclusion. The Forbes Under 30 Summit is the world’s greatest gathering of young entrepreneurs and game-changers. We're headed to Boston this year — October 16-19 — bringing together VIPs from our Forbes 30 Under 30 list and world class mentors for panels, demonstrations, pitch contests, networking and performances. The opportunity is opened to juniors, seniors, and graduate students. A 3.3 minimum GPA is required. Students will be selected on a rolling basis. If you are interested in applying the application can be found here. The Disability Care Center is proud to offer scholarship opportunities that can help further the education of American college students who are either disabled or seeking a degree in special education. All applicants who apply for one of our scholarship programs must satisfy our set of requirements to ensure they are full-time students in pursuit of a college degree.